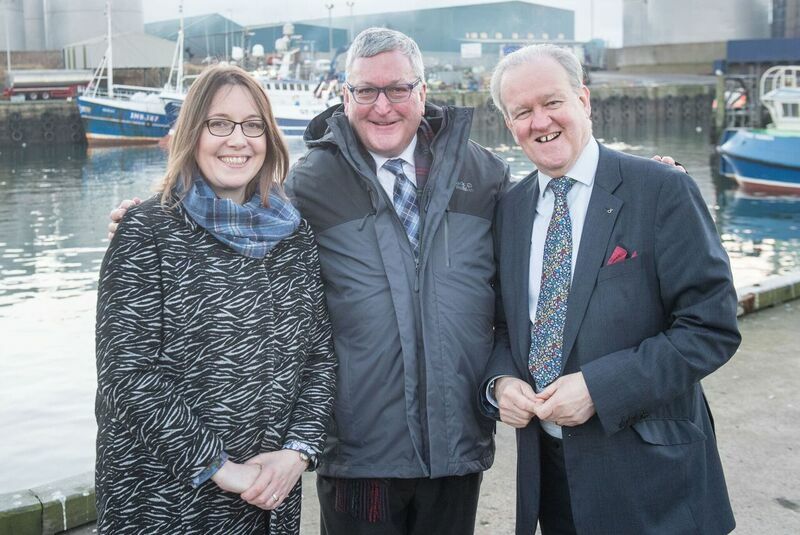 Banffshire & Buchan Coast MSP Stewart Stevenson and Banff & Buchan MP Eilidh Whiteford were in Gardenstown this morning as part of their campaign to retain a dispensary facility for prescriptions in the village. The MP and MSP were presenting their case to a panel appointed by NHS Grampian which was taking evidence for individuals and community groups in the village. NHS Grampian has been consulting with the patients of six GP practices who currently get, or who are eligible to get, dispensed medicines from their GP practice. A Review Group will be analysing all the responses to the consultation and will make recommendations to the Board of NHS Grampian. “I made the point to the panel that for health officials sitting in Foresterhill, this would be the equivalent of them having to go to somewhere like Portlethen to get a prescription – the difference being that there is a bus every 15 minutes or so to Portlethen. Announcements Show Brexit "Will Hit Poorest Hardest"
SNP MSP for Banffshire & Buchan Coast, Stewart Stevenson, has condemned the Chancellor’s Autumn Statement – which drove home the fact that Brexit and continuing austerity will hit poorest families hardest. Philip Hammond revealed the staggering level of borrowing needed to fill the Brexit blackhole in government finances and failed to halt the Tories’ austerity onslaught – policies that have proven so damaging to families and communities throughout the North-east. The Chancellor announced a rise in insurance premiums which will mean rising costs for hard pressed families in the North-east. The Autumn Statement came alongside forecasts from the OBR, predicting consumers will be squeezed by the rising cost of exports due to a weak pound caused by Brexit – which will hit family budgets in supermarkets and shops across the North-east. “The Chancellor has just proved that this UK government simply does not care for working families across the North-east – with the full impact of Brexit yet to come. “The Chancellor has completely failed to protect those on low incomes – continuing with the failed austerity onslaught that has been deeply damaging to families and communities across the North-east. Think-tanks and charities have rightly condemned this, with lower earnings, benefit cuts and higher costs providing a bleak outlook for people throughout the North-east – and this is before the full impact of Brexit is felt. SNP MSP for Banffshire & Buchan Coast, Stewart Stevenson, has backed strengthening Scotland’s island communities. Mr Stevenson spoke during a debate on supporting and strengthening Scotland’s island communities. Mr Stevenson recognised the valuable economic and cultural contribution of Scotland’s islands. He went on to emphasise the need to promote unique solutions for the unique circumstances of Scotland’s island communities. “Our islands are, economically, one of the most valuable parts of Scotland. One need only consider that much of our fishing grounds and access to oil and gas is gained from our offshore economic area – our islands are directly responsible for much of that. “We need to return value to our islands. We do that by supporting and strengthening them. One way of doing that might be through aviation transport. This could be done by changing restrictions on single-engine aircraft or we could exempt small island aircraft from having to pay VAT on aviation gas. In Norway, single-engine aircraft operate full services in instrument conditions – this is the kind of transformative thinking our islands should lead on. SNP MSP for Banffshire & Buchan Coast, Stewart Stevenson, has condemned the Tories for their economic incompetence. Mr Stevenson spoke during First Minister’s Questions where he asked whether the significant additional debt burden caused by the Tories pursuit of a hard Brexit would impede the Scottish Government’s ability to deliver social justice. He also highlighted that the £350 million per week promised by the Brexiteers to the NHS is now being replaced with a £225 million per week increase in debt. “The Tories claim to be experts on the economy – that’s just more hot air. We were told the NHS would have an additional £350 million per week from Brexit, the reality is they’re plunging the UK deeper into debt – an additional £225 million per week to be exact. “Tories, now ministers at Westminster, sold many working people on the idea there would be more money for the NHS, more money for services and more money for social justice. All of it utterly false. The Tories are destroying sources of revenue while putting a massive debt burden on the people of the UK. They, like their Labour predecessors are ballooning UK debt. SNP MSP for Banffshire & Buchan Coast, Stewart Stevenson, has secured an update on the Scottish Government’s plans to review the Protection of Vulnerable Groups (PVG) Scheme. Mr Stevenson asked the Minister for Childcare and Early Years, Mark McDonald, whether the Scottish Government could provide an update on plans to review the PVG scheme during Portfolio Questions. Mr Stevenson went on to ask for further detail as to how the disclosure system might emerge after the review. “The scheme has been running for five years and there will be a review – as promised. The PVG scheme plays an important role ensuring people with regular contact with vulnerable groups don’t have a known history of harmful behaviour. Many people rely on it and a review will give us an opportunity to make it even better. “The minister has made it clear that the frame of reference will be drawn from working with stakeholders. This is the best opportunity for us to make improvements. These organisations have had five years working with the system – that means they are best placed to help ministers develop a frame work. “The review will likely cover the digital delivery of services, the importance of safeguarding the vulnerable and the financial stability of the scheme – that’s a great start. What I find most important is that the Scottish Government has reaffirmed that stakeholder engagement will be central to the review process – including the disclosure system. We’re making good progress on this and I look forward to seeing the final frame of reference for the review in February 2017." SNP MSP for Banffshire & Buchan Coast, Stewart Stevenson, has hailed the Scottish Government’s ambitions for Scotland’s Innovation Centre Programme. Mr Stevenson spoke during a Parliamentary debate on the contribution Scotland’s innovation centres can make to driving innovation in key sectors of the economy. Mr Stevenson’s contribution emphasised the important role innovation centres can have in bringing thinkers together and allow them the space to innovate and collaborate. “If we want to assist that process, we need to create the right environment for it. We need to give people the right space, support and avenues for collaboration. Only by creating that environment can we continue to generate cutting edge thinking. Banff Firefighter Kevin Smith has been recognised in Parliament for his bravery in helping to rescue a woman from a sinking car in Macduff Harbour. Banffshire & Buchan Coast MSP Stewart Stevenson tabled a Motion in parliament commending Mr Smith’s actions and congratulating him on his award from the Worshipful Company of Security Professionals after being contacted by one of Mr Smith’s colleagues highlighting that he was to receive the award. Mr Stevenson also took the opportunity of tabling the Motion to underline the valuable role of retained firefighters in the local community. “Kevin Smith performed a very brave act and helped to rescue a woman whose car had plunged into Macduff Harbour. In the media coverage of his award, Kevin has come across as a very modest individual who says he was only doing his job and lays great emphasis on the two fishermen who also took part in the rescue. They also deserve commendation for their actions, which resulted in a life being saved. “I was very pleased to be able to put a Motion down in Parliament recognising the award received by Kevin for his part in the rescue. It was also an important opportunity to highlight the vital role which retained firefighters play in the safety of their local community. “The Scottish Fire and Rescue Service in this area relies on retained firefighters and are always on the lookout for new recruits. I hope this may help prompt some interest from people to consider serving their local community as a retained firefighter." 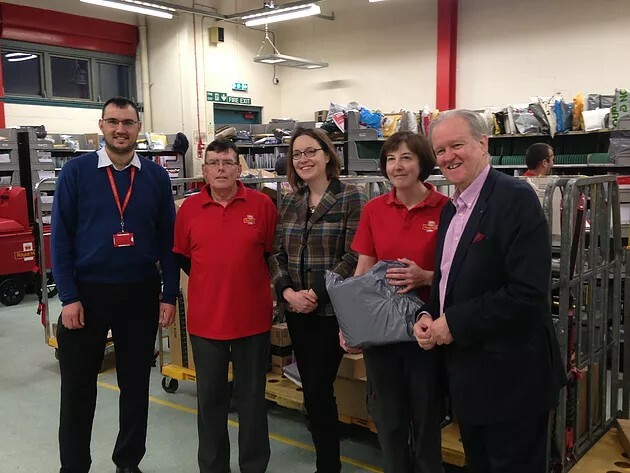 Banffshire & Buchan Coast MSP Stewart Stevenson has expressed concern after Post Office Limited confirmed to him that Portessie Post Office will close from 5.30pm on Monday 5 December. The closure is owing to the resignation of the current Postmaster and is deemed by Post Office Limited to be a “temporary closure”. “This will be a disappointment to the local community as our local Post Offices still perform a valuable role and very often, as in this case, also help support the local shop. “I am aware from the local community that there are some expressions of interest in taking over the shop and Post Office and I am offering my encouragement and support to those individuals. SNP MSP for Banffshire & Buchan Coast, Stewart Stevenson, has backed STEM subject education consultation. Mr Stevenson spoke during a Parliamentary debate where science, technology, engineering, and mathematics (STEM) education and training strategies were discussed. He highlighted the contribution of women to computing and emphasised the importance of establishing a culture more comfortable with numeracy. "The great heroes of computing are mostly female. I don't think that is talked about enough. It was a women that developed the first algorithm for computer programming, a Miss Ada Lovelace. 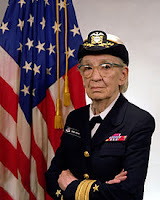 And more recently Rear Admiral, Grace Hopper, another women, created the method we use to develop computer programmes. If we are going to make progress in our STEM strategies, we need a holistic view which encourages and recognises the important contribution women have made to the field. "Overall, the key to any STEM strategy is making sure parents and families create a number-friendly environment at home. Families have a huge role to play in a child's attitude towards numbers. Families should make numbers and science enjoyable — I know from experience with my four-year-old goddaughter, that it works. "The essential point that we need to realise is that we are trying to encourage questioning minds. I want to see successful, happy, engaged people in STEM subjects. If we each contribute, individually, as parents, and as families – we will make substantial progress towards our goal. I hope our final strategy reflects that." Banffshire & Buchan Coast MSP, Stewart Stevenson, has called on cross party support for remote onshore island wind projects. Mr Stevenson spoke during a Ministerial Statement by Cabinet Secretary for Environment & Climate Change, Roseanna Cunningham, on Scotland's contribution to international climate change and the Paris agreement. He asked the Cabinet Secretary if the Scottish Parliament should seek cross party support to put pressure on the UK Government to reconsider their position. "It is incredibly disappointing that the UK Government has backtracked on supporting island renewables. 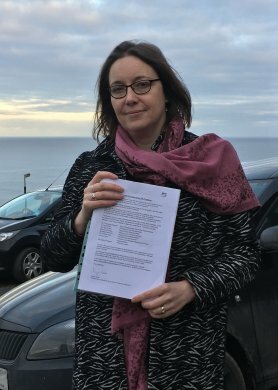 This decision will hit island communities hard and the UK Government gave no indication that they would put off allowing island communities to compete for contracts. "The decision doesn't make sense. Our island communities have some of the greatest potential for renewable energy generation in all of Europe. This decision delays economic benefits to the islands and it further hinders us in the fight against climate change. "I find the timing of this announcement incredibly suspect. The Conservative UK Government decided to announce this on one of the busiest news days of the year — when we are receiving results from the US Presidential election. It is vital that we make clear our opposition to this decision and get cross party support for such important climate change infrastructure. If we are going to make our contribution to climate change and the Paris agreement, we need to act now and act quickly." Oil and Gas UK have backed SNP demands that the UK Government use the Autumn Statement to incentivise North Sea exploration and development. Both the SNP and the oil and gas industry are urging the UK Chancellor to use the upcoming Autumn Statement to commit to the future of the industry - sending a signal of support and confidence to attract global investment. Oil & Gas UK's recently published Economic Report 2016 demonstrates that urgent action is required if the industry is to maximise the potential of the up to 20 billion barrels of oil and gas in the North Sea. Industry experts say the reduced cost of doing business in the North Sea and increased production efficiency has enhanced the potential of the industry as a global competitor. Chief Executive of Oil & Gas UK, Deirdre Michie, said the Autumn Statement is an opportunity to “send a clear message to investors that the North Sea is a great place to do business”. Theresa May would not commit to supporting the oil and gas industry in the Autumn Statement when asked by Callum McCaig SNP MP, Westminster’s energy spokesperson, at last week’s Prime Minister’s Questions. “Now is the time for the UK government to listen to common sense and commit to the future of oil and gas – a vital industry to the UK economy - in their Autumn Statement. “Exploration and development are integral to the growth of the sector and further incentives to invest, including tax breaks, would boost investor confidence and encourage them to bring their business to the North Sea. SNP MSP for Banffshire & Buchan Coast, Stewart Stevenson, has hailed the announcement that winter fuel funding will increase. Families across Aberdeenshire Council area are set to benefit from £312,000 of additional funding to keep their homes warm this winter, the Scottish Government has announced. Housing associations and councils in North-east will be given a share of a £9 million national fund to help improve the housing of those most in need, and help to ensure that social housing meets energy efficiency standards – making it easier for tenants across North-east to heat their homes. “The Scottish Government has made tackling fuel poverty a priority – and this funding for the North-east is further evidence of that. “The £312,000 that has been dedicated to Aberdeenshire Council and will go some way to helping the Council and housing associations tackle fuel poverty and ensure that some of the most vulnerable households in the North-east are able to heat their homes. SNP MSP for Banffshire & Buchan Coast, Stewart Stevenson, has called for international cooperation on matters of justice and security. Stevenson spoke during a Parliamentary debate in which he championed the need for international exchange of information, resources and skills. He went on to restate the dangers posed by technologically advanced crime and how combined international resources play a huge role in combating it. “We cannot allow ourselves to be cut off from the world. New technology means criminality is becoming more about breaking cryptography and codes. It is about protecting our data – that is the very basis of our national security. If we are going to do that, we need to work internationally. “People come from around the world to study at our universities, sharing both intellect and ideas. This is the kind of environment we need if we are going to counteract cyberwar and cybercrime. We need to make sure that we maintain links with European institutions and allow people to come here ­– giving us the multinational intellectual capacity to fight security problems over the internet. SNP MSP for Banffshire & Buchan Coast, Stewart Stevenson, has congratulated the Cub Scouts on reaching their hundredth year. Stevenson spoke during a Parliamentary debate in which he hailed the achievements of the Cub Scouts and wished them a successful next hundred years. The Cub Scots will be celebrating their hundredth anniversary on the 16th of December 2016. “The Cub Scouts are a great part of a young person’s development. I myself owe much of my own development to it. It helped me grow in confidence, make friends and even develop some adventurous cooking skills. “The Cub Scouts instil young people with a great sense of duty to help others. One of my own constituents, a Cub Scout leader Corey Tocher, exemplifies this spirit. Just a few months ago, this young man travelled to London to donate stem cells to the Anthony Nolan Trust – an action he undertook in order to save a life. These are the kind of values he is sharing with his Cub pack. 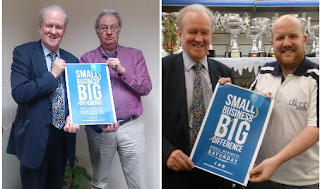 Banffshire & Buchan Coast MSP, Stewart Stevenson has hailed Rora District Amenities and Public Hall Association on successfully applying to Awards for All Scotland. Rora District Amenities and Public Hall Association have secured £5,909 and will use the funding towards roofing repairs. Rora District Amenities and Public Hall Association operate a well-used community building in rural Aberdeenshire. 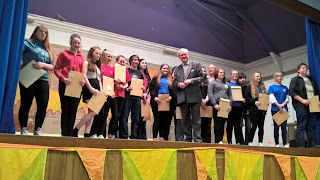 “I welcome the £5,909 award from Awards for All Scotland to Rora District Amenities and Public Hall Association toward funding their roofing repairs. This funding is great news for an organisation that has worked very hard to maintain such an excellent community space. Banffshire & Buchan Coast MSP, Stewart Stevenson has commended Buchanhaven Harbour Committee on Awards for All Scotland funding success. Buchanhaven Harbour Committee has secured £10,000 and will use the funding towards creating a new community space and boat shed on some recently acquired land. The Buchanhaven Harbour Committee is a charitable unincorporated association set up in Peterhead. The group provides and maintains facilities in the local area and raise money for local issues. “I welcome the £10,000 award from Awards for All Scotland to Buchanhaven Harbour Committee for their new community space and boat shed. This is a boost for a very active local organisation that continues to make great contributions to our part of the world. SNP MSP for Banffshire & Buchan Coast, Stewart Stevenson has today called on his constituents to ensure they are taking advantage of free help and support with energy bills. “It’s really important to be prepared for winter. I want everyone in the North-east to understand what help is available for them, and for their family and friends. Being energy efficient and keeping bills under control is really important, so I’d encourage people to get in touch with their energy supplier to find out what support is on offer. “Winter can be a challenging time for households and many people may be concerned about their winter energy bill. Help is available and we urge customers to get in touch so we can offer them advice and support. SNP MSP for Banffshire & Buchan Coast, Stewart Stevenson called for the UK to allow nations of UK to continue to work with international bodies on issues of climate change and the environment. Mr Stevenson spoke during a Parliamentary debate where he called on the UK Government to ensure Scotland maintains a fully functional relationship with other countries in Europe on environment and climate issues. He stressed the benefits of international co-operation on environmental policy and criticised Tory interference. “The Scottish Government continues to deliver on the environment, delivering in 2014 what should have taken us till 2020 - six years ahead of schedule. The UK Government meanwhile continues to interfere and hinder the Scottish Government’s environmental ambitions. Their interference on renewables is just one of several examples. It is ridiculous for the Tories to suggest otherwise. “The suggestion by Nigel Farage and friends that the EU is restraining the UK with detrimental regulations is a joke. Out of 2,466 decisions on laws, the EU Council of Ministers overruled the UK 56 times – less than 1 per cent of the total decisions. The UK Government chose not to reject the overwhelming majority of regulation. SNP MSP for Banffshire & Buchan Coast, Stewart Stevenson has backed the ‘Adopt a Station’ programme and its success along the new Borders Railway. 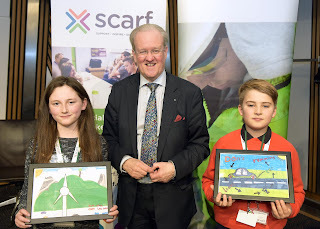 Mr Stevenson spoke during a Parliamentary debate where he backed the work of volunteers along the Borders Railway and emphasized its success as encouraging for the continued development of Scottish rail. “The ‘Adopt a Station’ Programme has invigorated stations along the Borders Railway. The programme brings libraries, flowers and other welcome amenities. It’s been a great combined effort from volunteers and ScotRail – it shows how proud they are to have the Borders line. “The Borders Railway itself has been a huge success – over a million passengers in its first year – well above predicted usage. There also appears to be a higher incidence of end to end travel – another encouraging sign. Hopefully any future assessments of extending rail in the North-east will consider that the Borders railway outperformed its own usage predictions. SNP MSP for Banffshire & Buchan Coast, Stewart Stevenson, is backing Cancer Research UK’s new Scale Down Cancer campaign to help prevent obesity-related cancers across Scotland. Scotland has one of the heaviest populations in Europe, with two in three adults in Scotland overweight or obese. And according to new calculations by Cancer Research UK, almost 83,000 children have started primary school overweight or obese in Scotland over the last decade. Given that obesity is the single biggest preventable cause of cancer after smoking, it is important that action is taken to tackle Scotland’s obesity challenges. The new Cancer Research UK campaign asks politicians to support a call to ensure cancer is scaled down to size in Scotland. 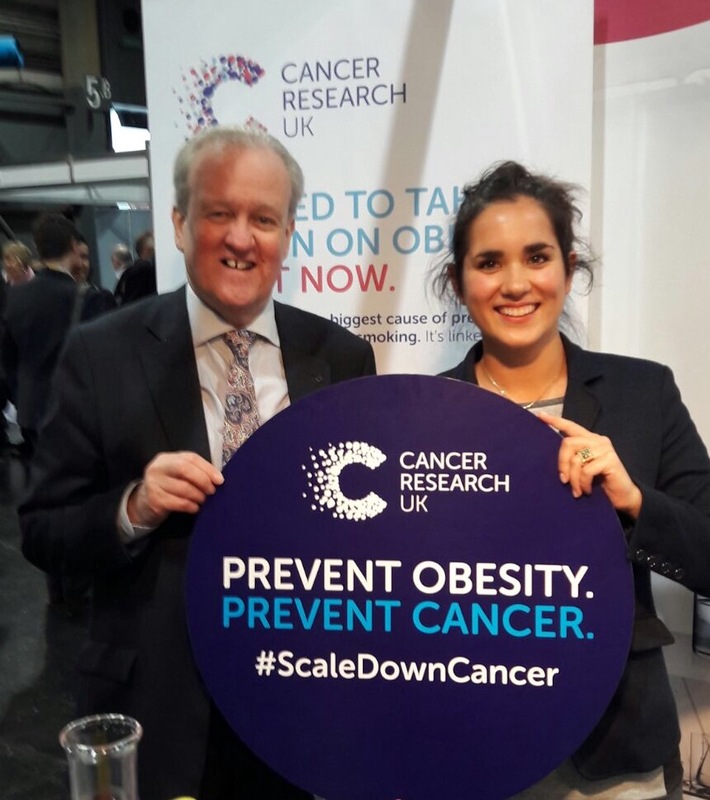 Cancer Research UK wants to see a comprehensive strategy for tackling obesity in Scotland, including measures that focus on tackling the wider factors that lead to the overconsumption of unhealthy foods – such as restricting the advertising of unhealthy food to children and curbing multi-buy discounts. “Four in ten cancers are preventable, yet not enough of us know that obesity is the single biggest preventable cause of cancer after smoking. Given the devastating impact that cancer has on families in Banffshire & Buchan Coast, it’s vital we take action on obesity. 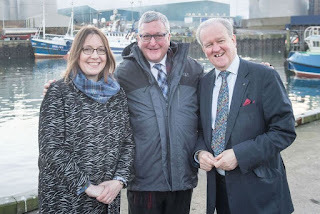 SNP MSP for Banffshire & Buchan Coast, Stewart Stevenson has demanded the Westminster Government protect the Scottish fishing sector and coastal communities. Mr Stevenson spoke at SNP Conference where he proposed the resolution on the future of Scotland’s fishing interests. He spoke on the Common Fisheries Policy as a policy that diverts economic benefits away from Scottish coastal communities, and the need to maintain access to labour and non-tariff access to the European single market for fish processing. Mr Stevenson slated Westminster for their failure to provide any certainty for Scottish fishing and demanded they not sell-out the industry again. 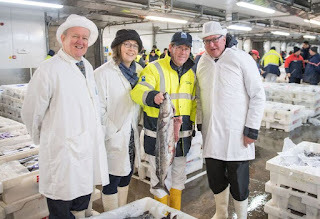 He made clear that Scotland’s only Tory MP, David Mundell, has no relationship to fishing interests, is out of his depth, and called for a Scottish Minister to lead post-Brexit fisheries negotiations. “The SNP will always stand up for Scotland- that includes Scottish fishing. We’ve always been opposed to the CFP and will do whatever it takes to get the best deal for Scottish fishing. It is not acceptable that the majority of fish caught in our waters are loaded into foreign vessels, nor is it acceptable that Scottish vessels are stopped from fishing active spawning grounds while vessels from other countries continue to fish them. “If we are to protect our coastal communities, we need to make sure we protect our fishing communities as a whole. That also means protecting the single market and the free movement of people. We need tariff-free access to the biggest single fisheries market in the world, and we need the many hard working Europeans that help drive the processing industry. SNP MSP for Banffshire & Buchan Coast, Stewart Stevenson called for the BBC to better reflect the nuanced experience of those living in Scotland and other parts of the UK. Mr Stevenson spoke during a Parliamentary debate where he called for the BBC to better report, explain, and reflect issues faced by people across the nations of the UK. “The BBC produces some of the best current affairs programmes around- “Eòrpa” for instance is a Gaelic programme, that allows us to see current events in Europe from a Scottish perspective. It is one of many great programmes that only the BBC could produce. 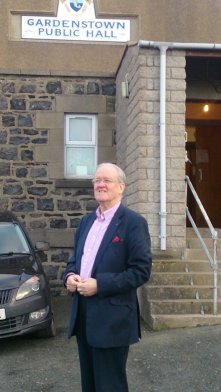 SNP MSP for Banffshire & Buchan Coast, Stewart Stevenson has condemned the recent rise in hate crimes in the UK. Mr Stevenson spoke during a Parliamentary debate where he condemned attacks against Polish people and highlighted the positive relationship between Scotland and Poland throughout history. “There is no place for this kind of behaviour in the 21st century. These are people who have chosen to make their lives here. They contribute to our society and have every right to expect and demand safety. “The people of Scotland have a deeply positive relationship with Poland. For centuries Scottish people have travelled there to live and work. There are still places in Poland that reflect this – like areas of Gdańsk, called Nowe Szkoty­ – New Scots, and Stare Szkoty – Old Scots. Scottish Lib Dem Leader Willie Rennie has been challenged to renew his party’s support for keeping Scotland within the EU after one of his MSPs suggested leaving the EU was inevitable. In an interview on Sunday Politics Scotland, MSP Mike Rumbles let his guard down stating “WHEN Scotland leaves the EU” rather than "IF" — contrasting sharply with the commitment given by his party leader to back the Scottish Government in negotiations to protect Scotland’s place in Europe. Mr Rumbles also suggested that he was in favour of scrapping EU support for farmers which currently injects around a billion Euros of subsidies and development funding into Scotland’s rural economy. “These are staggering revelations from Mike Rumbles who appears to be unilaterally repositioning the Scottish LibDems alongside the Tories as a party of born-again Brexiteers — resigned to Scotland being dragged out of the EU despite our overwhelming vote to remain. “Willie Rennie should urgently renew his party’s commitment to the Scottish Government’s efforts in working to secure our place within the EU. And he needs to rein in those in his party who would seek to undermine those efforts in the course of political sniping. "Aligning themselves with the Tories in 2010 and the independence referendum is what lost the LibDems hundreds of thousands of votes. Are they about to do the same again? SNP MSP for Banffshire & Buchan Coast, Stewart Stevenson has welcomed the announcement that £660,700 has been allocated to improve energy efficiency in Aberdeenshire. The funding will be used to install energy efficiency measures to social and private housing. In addition, the money will be used for infrastructure for biomass combined heat and power district heating systems and insulation of various commercial buildings. The funding is part of over £9 million pounds that have been awarded to improve energy efficiency throughout Scotland. Homes in Aberdeenshire will be warmer and cheaper to heat thanks to the Scottish Government funding. Scotland’s Energy Efficiency Programme (SEEP) Pathfinder Fund is being directed at businesses, community groups and individuals working and living in areas with particularly high levels of fuel poverty. “As a government we are here to help those who need it most. No one should have to live in the cold because they can’t afford heating. The Scottish Government is taking the right approach by being proactive and funding energy efficiency. “These are the kind of simple changes that can massively improve peoples’ lives. The days are getting colder and heat is as important as food or water. Giving everyone the chance to be warm has unquestionable social and economic benefits. 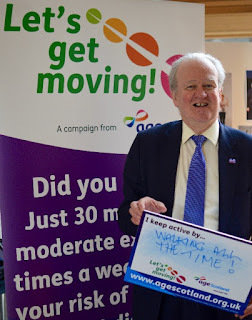 SNP MSP for Banffshire & Buchan Coast, Stewart Stevenson has welcomed Age Scotland’s ‘Let’s get moving!’ campaign. 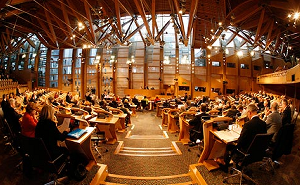 Stevenson met with Age Scotland during their campaign launch in Scottish Parliament. Age Scotland have launched a new campaign to encourage people to get active. The campaign, entitled Let's get moving!, is about encouraging older people to get active by telling the stories of what people, from right across the country do to keep active. To get the ball-rolling, Age Scotland launched the campaign at the Scottish Parliament and asked MSPs to tell us what they do to keep active. “We all know that we could do with getting more exercise, indeed, in a recent survey the charity conducted, we found that only 55% of respondents were getting the recommended minimum of 30 minutes of moderate exercise five times a week.